The 17-hour-long operation ended yesterday morning after security forces retrieved bodies of all the three gunmen. 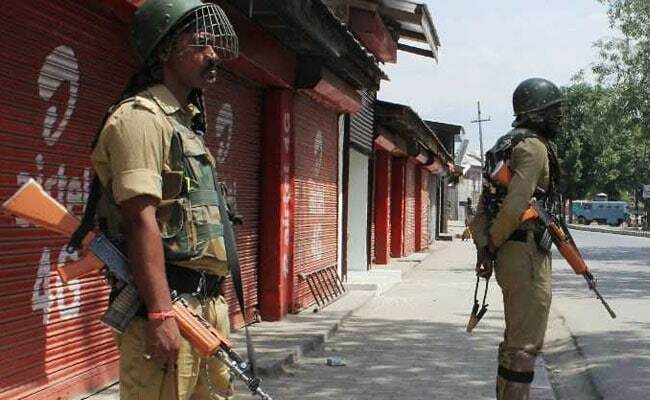 A 14-year-old recruit is among three terrorists killed during an encounter with security forces at Mujgund village on the outskirts of Jammu and Kashmir's Srinagar. Mudasir Ahmad Parray, a resident of Hajin in Bandipore district had gone missing three months ago. Last week, his picture with an assault rifle surfaced on social media giving credence to reports that teenager has joined terrorism. His family had appealed him to return home. Mudasir is the youngest terrorist killed by security forces in the recent past. Another terrorist killed in the encounter has been identified as Saqib Bilal Sheikh, who, locals say, was 15-years-old. Police said the third terrorist killed in the encounter was a Pakistani National. The encounter started Saturday evening after security forces launched the operation based on specific information about the presence of terrorists in a residential house at Mujgund village. Security forces blew up five residential houses during the operation while trying to neutralise holed up terrorists. Besides losing their homes, the families lost their livestock that perished in the fire. Soon after the encounter, clashes broke out between the locals and security forces. To help the affected families who lost their homes, villagers have started crowdfunding in the area. Kashmir is reeling under sub-zero temperate and it will be tough time for the families rendered homeless. Government is not providing any compensation to the families whose houses are being destroyed during encounters, which has become a common phenomenon. The army said, during yesterday's encounter at Mujgund, terrorists tried to set the house on fire in an attempt to escape. "Terrorists also tried use explosives to create confusion. But security forces thwarted all attempts by terrorists to escape and successfully eliminated all the three terrorists," an army spokesman said.